Perfect for a sunny summer evening this salad is full of fresh flavours and best of all is super quick to make. Set the grill to high. Cut each peach in to 6 pieces and remove the stone. Wrap each slice of peach with half a piece of Parma ham. Place on a tray and grill the peaches for 2-5 minutes until they start to brown and the ham starts to crisp. Split the watercress and rocket between two bowls. Top with the grilled peaches, then the feta cheese and the olives. 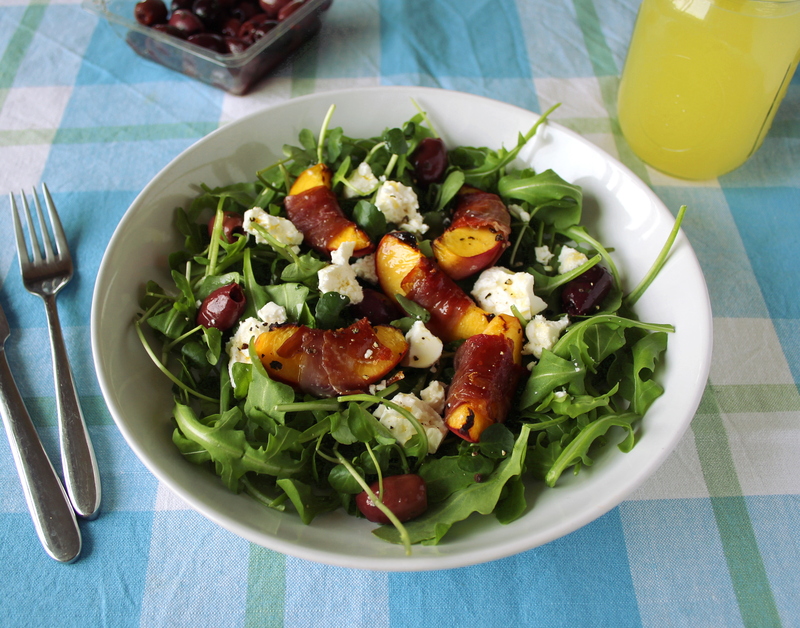 Season with salt and pepper, drizzle over a little balsamic dressing and enjoy.